Shisa standing guard at the entrance to Seaside House. I’ve recently returned from my first trip outside of South Africa, which saw me heading to Japan via Dubai. After a little more than 20 hours travelling (not counting the waiting time in airports), I made it to Seaside House. Seaside House is located on the coast in Onna and is part of the Okinawa Institute of Science and Technology Graduate University (OIST) where I had been invited to attend the admissions workshop for their PhD programme. 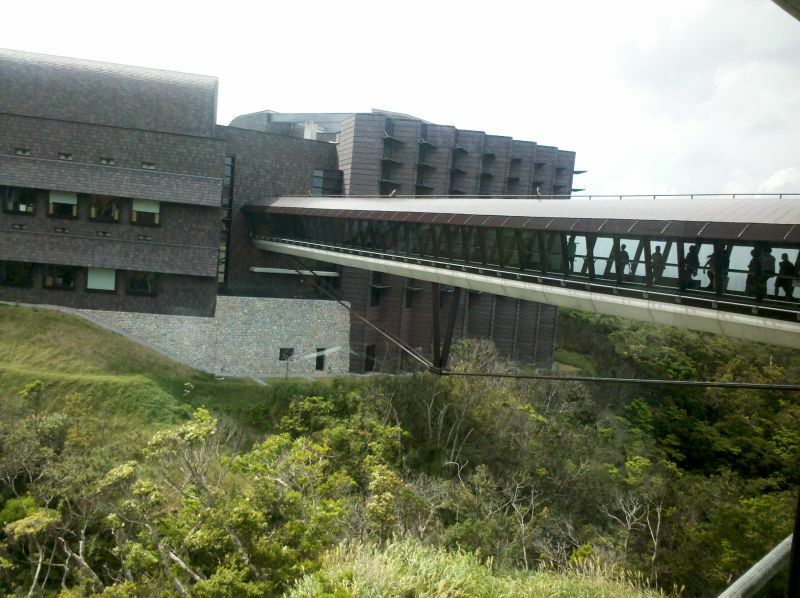 The OIST campus is incredibly beautiful. I’m used to having a good-looking campus, of course. UCT’s position on Table Mountain is amazing and offers a brilliant view of the city, one which is sadly lacking from the health sciences campus. OIST lacks as dramatic a view but it’s built on a number of hills with the valleys, apparently containing protected species, surrounding the buildings with wilderness. 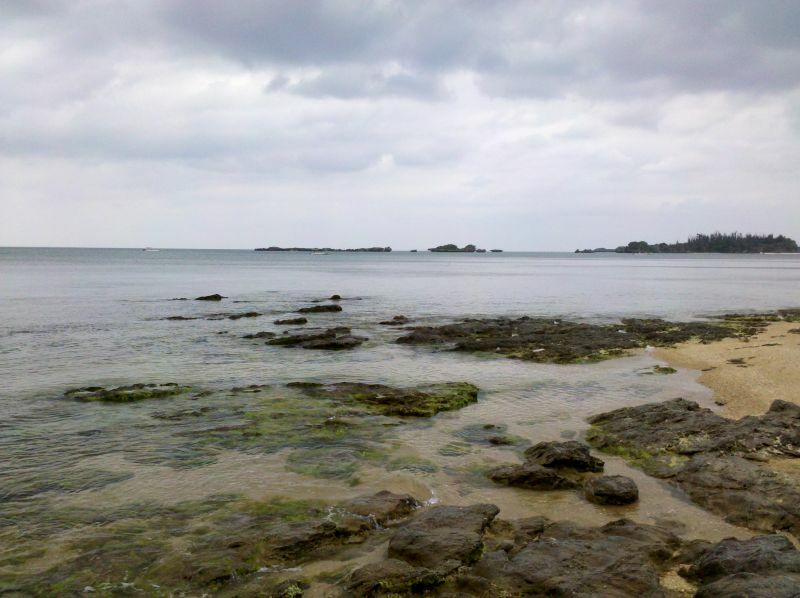 At the same time there are brilliant views of the ocean, which is a mixture of brilliant blues. The university is also new so all the buildings are clean with well-designed interiors. In addition, OIST has a huge amount of financial support from the Japanese government, meaning that those interior spaces are packed with the latest instruments and technology. Skybridge connecting one of the labs to the central building. I wasn’t just there to admire the buildings though, I was there to meet the people. All the applicants attended a number of talks about OIST and life in Japan as well as having a number of formal and informal meetings with the faculty and current students. I had expected to be the only South African there but was pleasantly surprised to find that the current president of OIST, Jonathan Dorfan, is not only from South Africa but attended the same high school as me! His brother was also there as well as an Irish scientist who had connections to the University of Kwa-Zulu Natal. I feel as though my interviews went fairly well, although I was disappointed to hear that the research on horizontal gene transfer was coming to an end. There are other research projects of interest though and everyone came off as really friendly. One of the major strengths of OIST seems to be it’s diversity and personalised programmes. The faculty is fairly diverse but the group of applicants attending the workshop was even more so. I shared my room at Seaside House with a chemistry major from Pakistan but also met students from the US, India, France, Japan, China, Indonesia and others. As part of their lab rotations at the beginning of the programme they even send PhD students to spend a few weeks in a lab outside of their field. By the end everyone should have been exposed to a huge amount of scientific and cultural diversity. With the small size of the university there is also a lot of personal attention with the option for students to build their own courses on topics of their choosing, provided they can find a faculty member to oversee it. On the last day of the workshop we were taken to a couple of places in Onna as well as Cape Manzamo. Apparently there was also a cave if one went down a certain path but, unfortunately, I missed that. While it all looks quite nice I didn’t find it as spectacular as I would have expected given its reputation. Living in Japan will probably take a fair amount of adjustment if I’m accepted. There are so many different things that I’ve never seen before, as well as a few familiar things. And, with my limited knowledge of Japanese, I can’t actually read the labels on products. Fresh fruit is also a lot more expensive than I’m used to and I hear it’s very difficult to get hold of cheese. 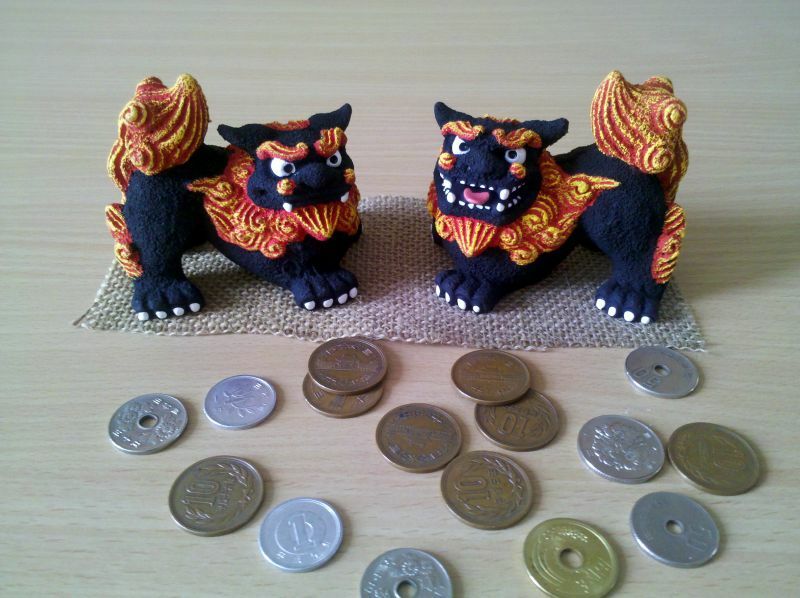 My own pair of shisa with some left-over Yen. 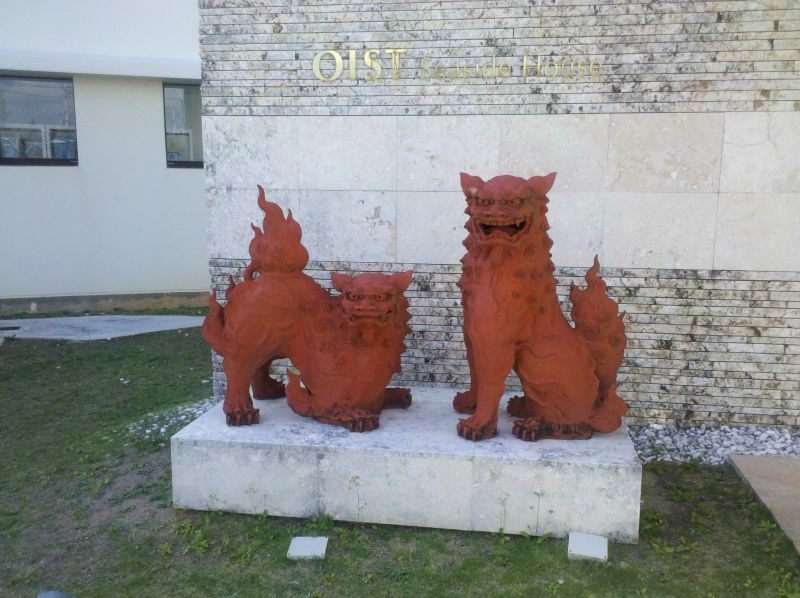 My favourite part of Okinawa would have to have been the shisa statues. I didn’t see as many in Naha but they were all over Onna, even sitting on the sides of the road. Traditionally, they come in pairs and serve to protect from evil spirits. They also could be the inspiration for the pokemon arcanine. There was no shortage of shisa available in the shops and I made sure to bring my own pair back home with me. The trip back to South Africa was more “eventful” than on the way to Japan. Unfortunately, it was more eventful in a negative manner. The flight from Dubai to Cape Town was the worst. I had been excited as it was on an Airbus, which I had a positive impression about. In reality, I found it worse than the Boeing 777 which I’d used on the way up. I switched seats to let a couple sit together but got a worse position. That wouldn’t have been so bad, except the in-flight entertainment was buggy, causing the screens to reset a number of times and interrupt my viewing. On the positive side, I did get to watch a number of movies in the planes including World War Z (which I think had some scenes cut), Nothing for Mahala, Wreck it Ralph and Frozen (which recently won two Oscars). I should find out whether I will be offered a position at OIST within the next one to two weeks. Below is their promotional video. 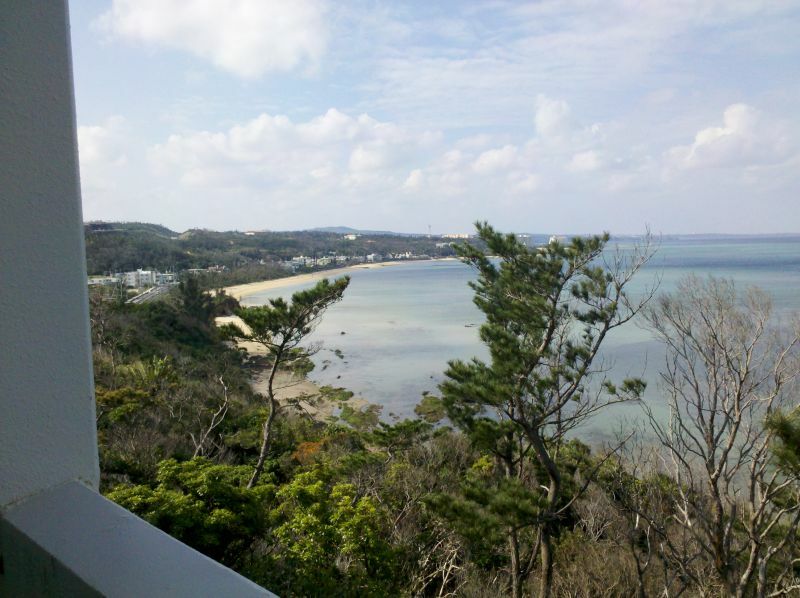 This entry was posted in Personal and tagged Japan, OIST, Okinawa, Okinawa Institute of Science and Technology Graduate University, travel by Jason Bosch. Bookmark the permalink.